The majority of our expansion is coming from VoIP Innovations and Inspira. Business has been exploding for them and we need to make room to accommodate that growth. When we first moved into this space in July 2007 we only had about 9,000 square feet of space. When we signed the renewal lease last September we realized that our current space wasn’t going to be large enough so we decided to add an extra 2,674 square feet of new space! 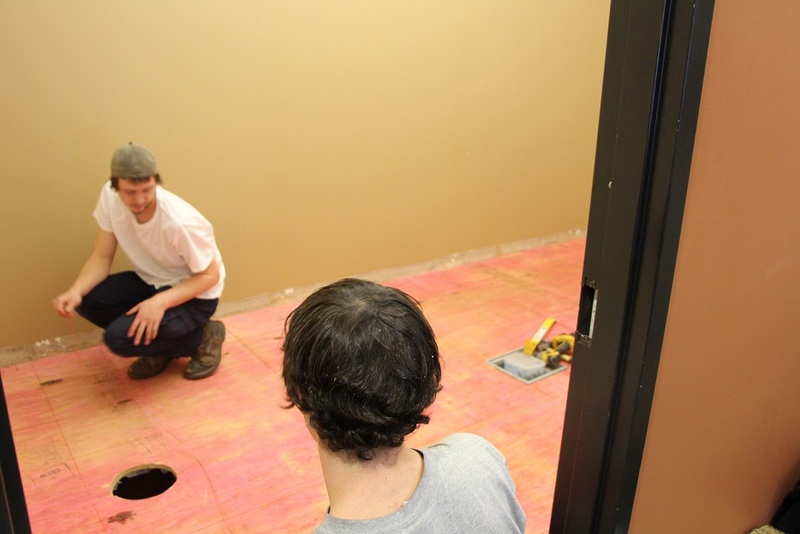 Since our organization is growing faster than the build-out can happen, we’ve had to sign a temporary lease for space that is available in our building right now. This space will eventually be part of the expansion as well, but until the builders can get to that section we’ll be using it to house some new employees. 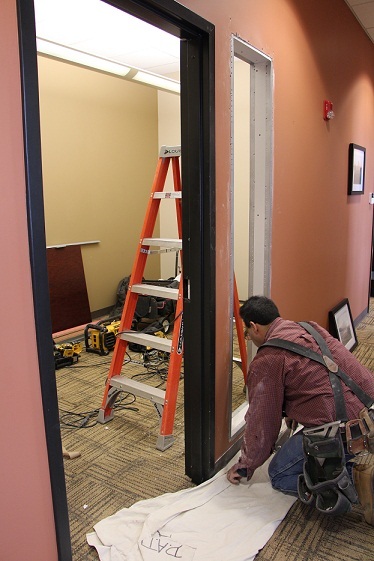 New offices and other space for employees aren’t the only reason we’re doing a build-out. We’re also planning on building a new gala kitchen, a 28×32 multi-purpose room, and a call center for Inspira. Right now, we hold company meetings and gatherings in our small kitchen or the open space where all of our employees sit. The multi-purpose room will have movable tables that we’ll be able to utilize for training, conferences, meetings, and most importantly, our Friday lunch parties! ABG Capital has come a long way since their first office on Mt. Lebanon Blvd. This office was barely 5,000 square feet and fit about 12 to 15 people. “It really feels like we’ve gone from rags to riches,” said Tapolci as he talked about what it used to be like for ABG. This build-out is the future of ABG and we know that there are many more great things to come. This entry was posted in Uncategorized by Natalie DeCario. Bookmark the permalink.